Hootsuite is one social media managing platform that is loved by more than 10 million people, and I am among. But why do so many people turn to hootsuite as a means to manage their social media platform, the answer, it is because of the various feature that hootsuite offer it's users. Let me talk about one of those feature called Publisher. As you start to increase the number of post you schedule and post, you will notice that you tend to at one point to to review and possibly edit a scheduled post before it hit the publishing date and time, and because of the numerous post you might have scheduled, finding the one you want to edit might be a little bit difficult, and that is where the Hootsuite Publisher feature comes in. With it, you can schedule post to multiple social media account, review, revise, rearrange the order of posting and even export the posts for local archiving, with just a few clicks. And when I say few clicks, I mean, very few clicks. The Publisher feature allows you to view your scheduled post based on Day, Week, and Month. You can also view them all as a list. and the great thin about the Hootsuite Publisher scheduled post grouping is that, you can also filter the result by social media account. Let me illustrate how greate this feature is. Suppose you have 100 post scheduled for posting for a week across multiple social media account, and you need to revise a post to a particular account, instead of you going through all the 100 post in search of that one post to the social account, all you need do is to filter the view and specify that only post to that social account be displayed. 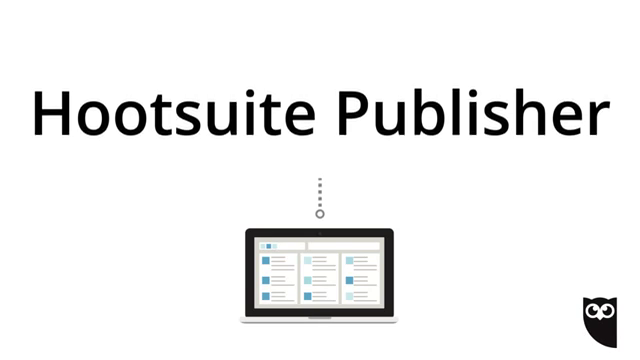 The video below explain more of the things you can do with the Hootsuite Publisher feature.